Not too many people see the importance to differentiate between hard and soft logic when scheduling their programmes, although it is well referenced into PMI´s PMBOK and AACE´s TCM. Let me explain the concepts in short in order to get deep into the subject I want to deliver. It is about mandatory logic either contractual or physical. For example, when building a column, everybody knows that formwork comes before pouring concrete, that is a physical condition, and maybe the planner will put a Finish-to-Start link to depict it into the schedule. The contractual logic on the other hand is derived from the contract itself and many times it is a demand from the owner; let’s say the client wants an specific area done before the other one, that need becomes mandatory so the contractor must follow that sequence of work, in other words it is mandatory. Both, physical and contractual logics are considered as Hard or Mandatory logic, one because it would be impossible to do it some other way and the other because it is an owner necessity. Sometimes referred as preferential or discretionary logic. These are the kind of logic touched by the hand of the planner/scheduler. For example, after accomplish with contract requirements on the schedule, a contractor decides to work on two buildings in parallel because they will give a better usage to their expensive crane, only one building has a contract deadline, but instead building one after another, they prefer to do them at the same time. That is a discretional or called soft logic. Is it important to distinguish among them? Yes of course, as a planner I prefer to avoid much soft logic in the critical path, if so, that path will be easy influenced to be changed because during the work, decisions could lead us any other way just because it was never mandatory to follow that way. From the forensic schedule analyst point of view, imagine you are about to perform a Collapsed-As-Built methodology in order to demonstrate an extension of time claim, and you chose this method because maybe you didn’t have a baseline to work with, then one of the most difficult part to you as an expert could be going backwards in time without any clue how the original link was in the tasks. We can deduct contractual and physical ones but, what about the discretional ones? Will you have a voice whispering how things happened? Will records have detail enough to tell you the story in these cases? Maybe they won’t. On the Step 2 you schedule but considering the proper type of link assigned to each relationship between activities. 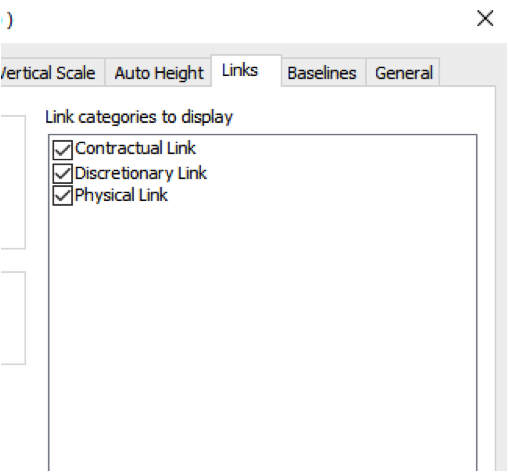 Above, I show one contractual link in blue, two discretionary links in sky-blue and the remaining are the physical ones in black. Now, as a peer reviewer you can turn off hard logic to see only soft logic in order to analyse what the scheduler/planner/contractor has chosen as a path to follow, and it will depend on you to accept, reject or suggest something new for these logics. With this, the owner could see a more transparent schedule coming from the contractor or the forensic analyst could have a huge help in order to perform his forensic methodology. Differentiating links types could help us in having a more comprehensible schedule for the project team. Do you think this could be useful in your job? 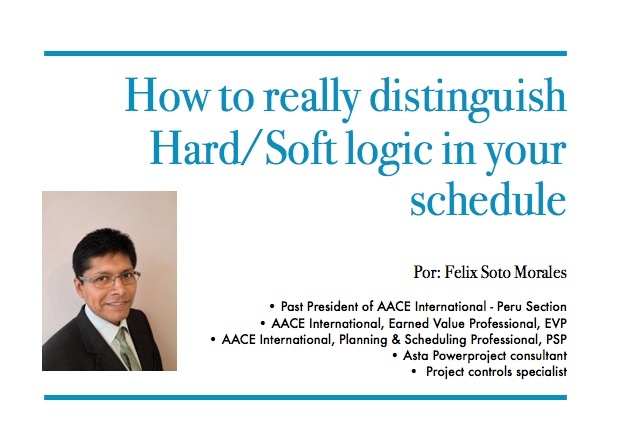 This entry was posted in Article and tagged Asta Powerproject, hard logic, logic on a schedule, projects control, schedule types of links, soft logic by Felix Soto. Bookmark the permalink.